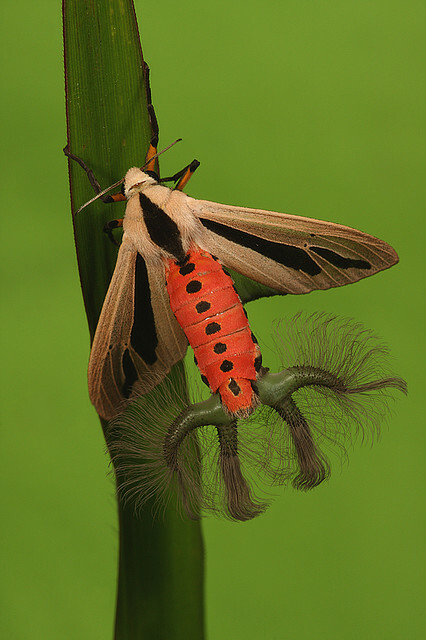 to get you going for the day and fulfill creepy critters for October… I present to you… drum rollll……………………..
…………………Creatonotos gangis moth … yes it is real.. The tentacle-like structures are scent organs emitting pheromones to attract male moths. These are exuded from the abdomen and retract when not in use. This entry was posted in general information and tagged Creatonotos gangis, Creatonotos gangis moth, insects, moth. Bookmark the permalink.